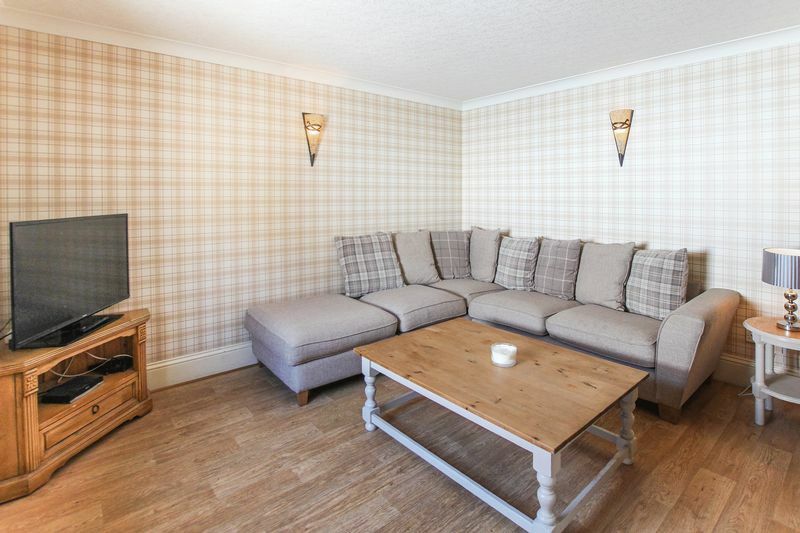 A superbly presented 4 bedroom detached family home situated in the small rural village of Liverton. 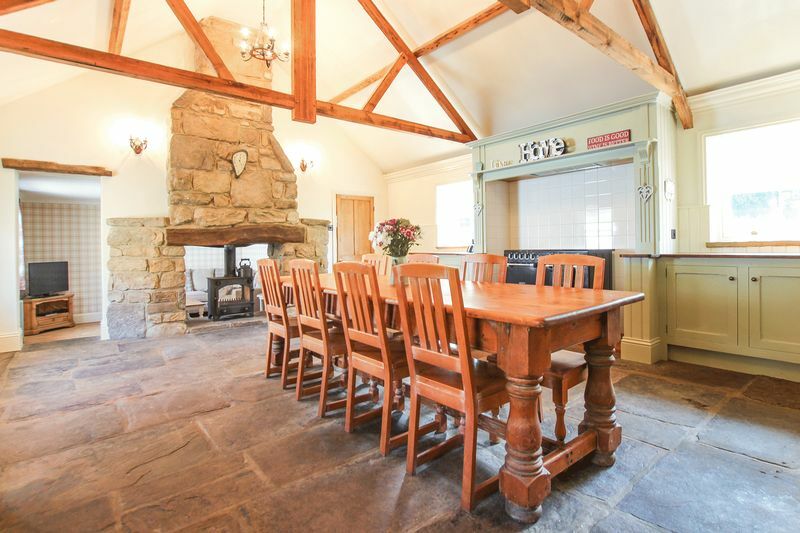 Liverton is within easy commuting distance of both Teesside and Whitby and is located within glorious countryside being close to the North Yorkshire Moors National Park. 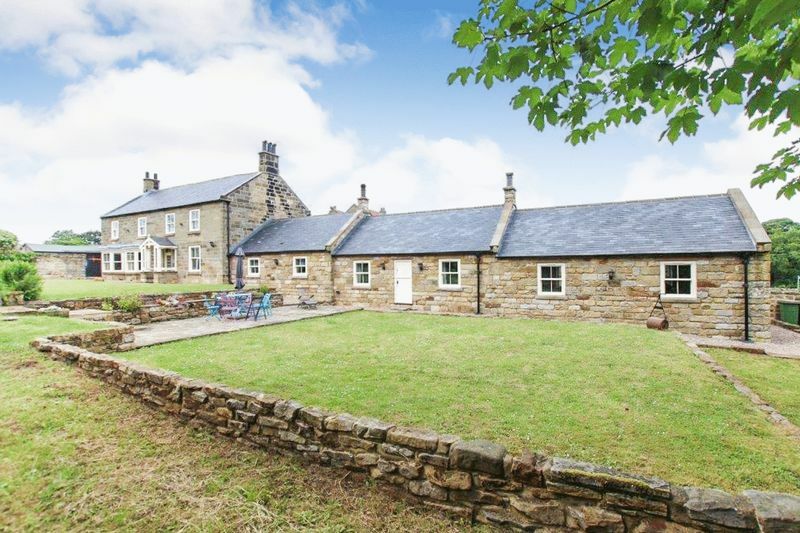 This stunning nineteenth century stone built house has been sympathetically renovated by the current Owners to the highest standards with attention to detail including the handmade sash windows built by a Joiner on site. The whole combines modern day living with traditional values. 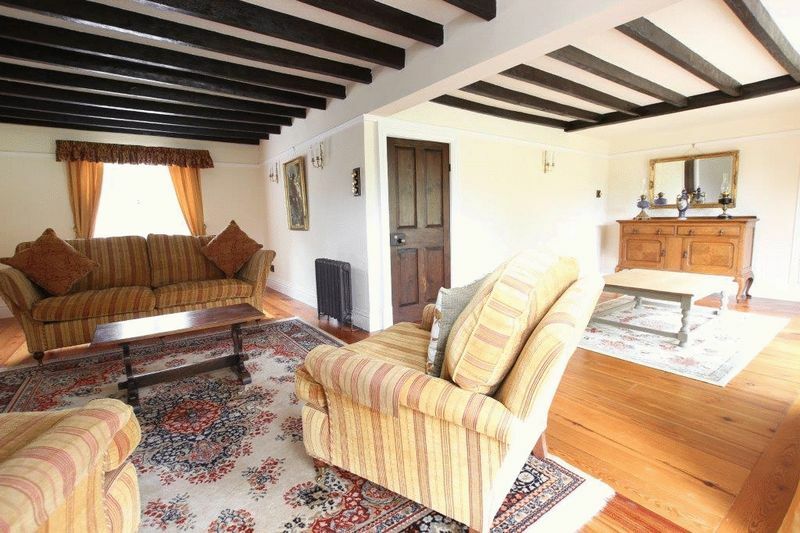 The property has been re-roofed in slate, has the benefit of a comprehensive oil fired central heating system, double glazing, security system and offers accommodation principally comprising: to the ground floor: reception hall, living room, dining room, study, kitchen / breakfast area, family room / TV room, inner hall, utility room, boiler room, shower room / WC and gym and to the first floor: 4 bedrooms, shower room / WC and bathroom / WC. 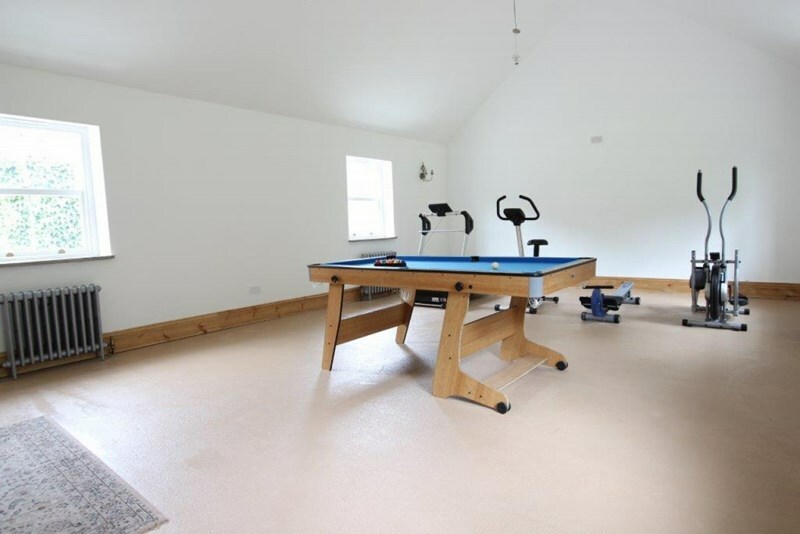 Externally there is a long pebbled driveway, detached double garage and breathtaking south facing grounds. Only through internal inspection can the sheer quality and attention to detail be fully appreciated. 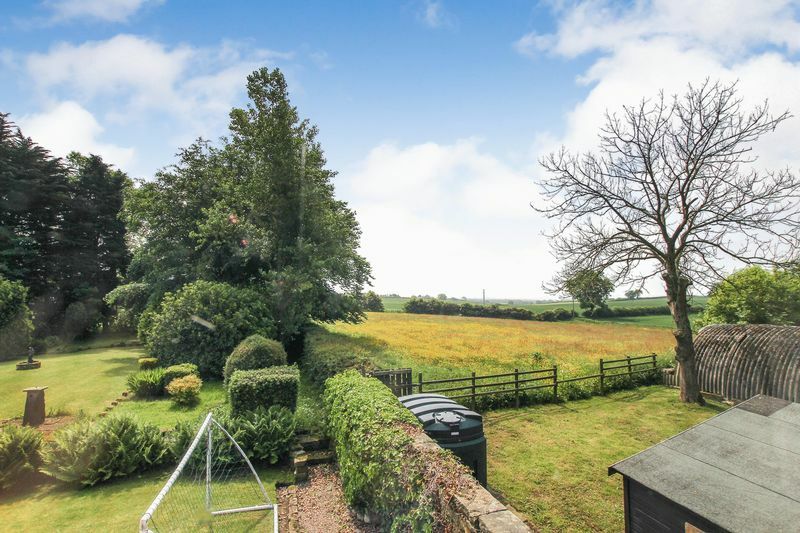 A superbly presented 4 bedroom detached family home situated in the small rural village of Liverton. 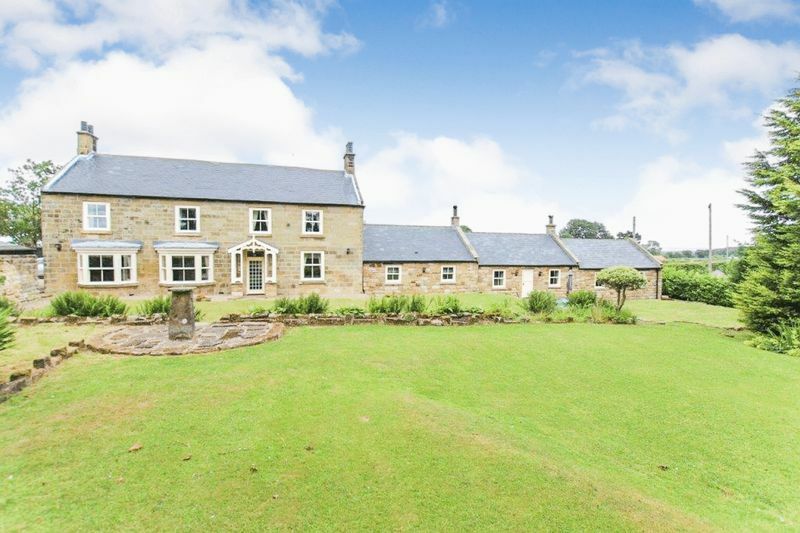 Liverton is within easy commuting distance of both Teesside and Whitby and is located within glorious countryside being close to the North Yorkshire Moors National Park. 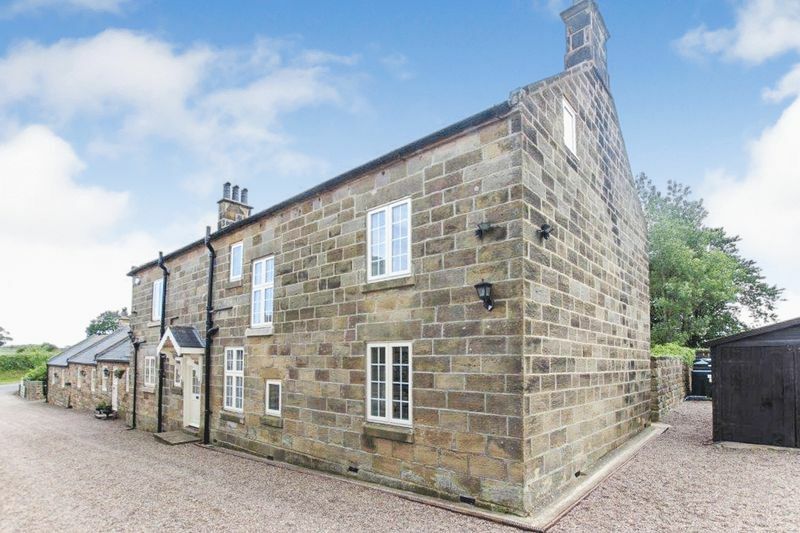 This stunning nineteenth century stone built house has been sympathetically renovated by the current Owners to the highest standards with attention to detail including the handmade sash windows built by a Joiner on site. The whole combines modern day living with traditional values. The property has been re-roofed in slate, has the benefit of a comprehensive oil fired central heating system, double glazing, security system and offers accommodation principally comprising: to the ground floor: reception hall, living room, dining room, study, kitchen / breakfast area, family room / TV room, inner hall, utility room, boiler room, shower room / WC and gym and to the first floor: 4 bedrooms, shower room / WC and bathroom / WC. 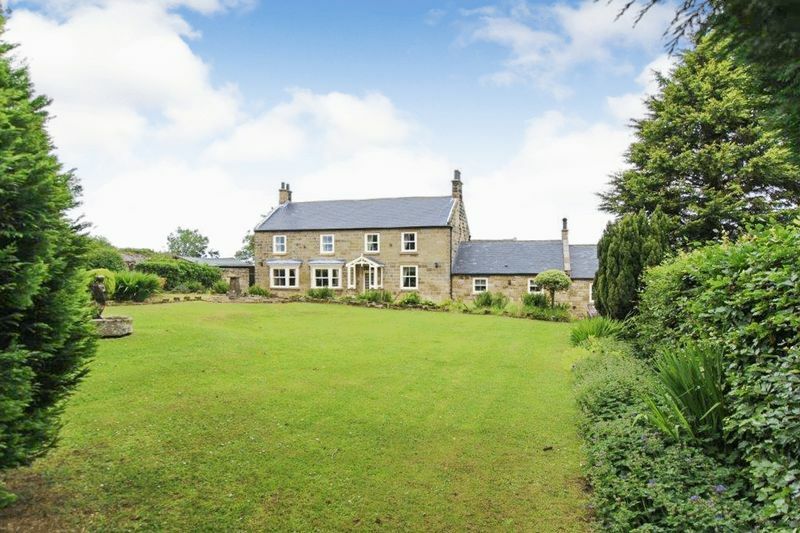 Externally there is a long pebbled driveway, detached double garage and breathtaking south facing grounds. Only through internal inspection can the sheer quality and attention to detail be fully appreciated. 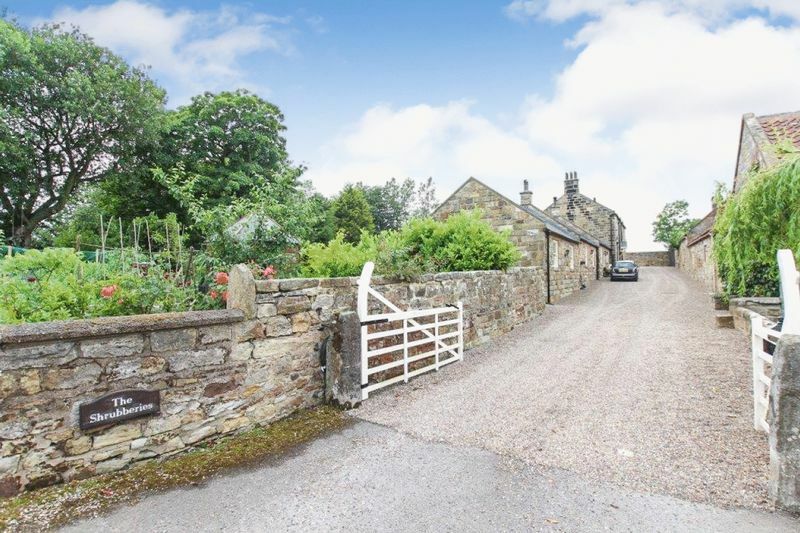 The property offers versatile living giving the potential to have a holiday let, granny annex, teenager suite etc if the purchaser wishes (subject to any necessary consents). 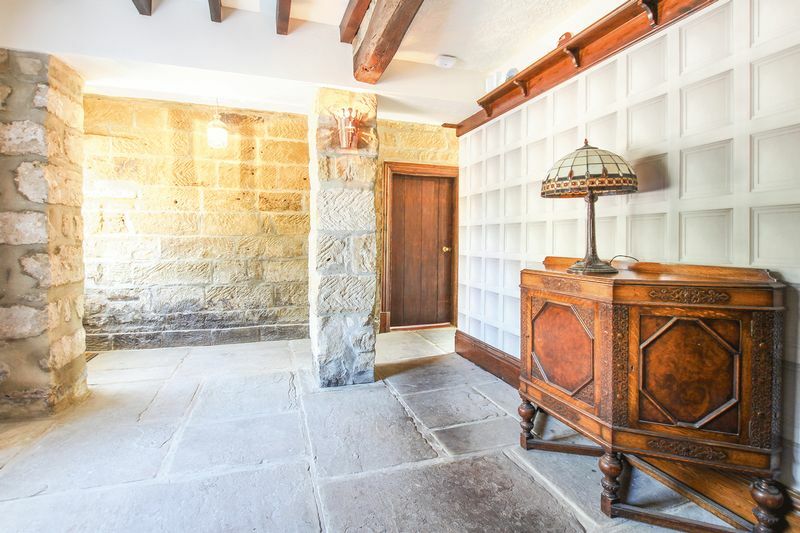 Double glazed doors to both the front and rear, beamed ceiling, stone flagged floor, attractive natural stone wall and pillars, delft rack, two Edwardian style radiators, useful understairs cupboard, stairs to the first floor. reducing to 9'7" [2.92 M] Two south facing double glazed sash bay windows complemented by a double glazed bow window to the front, feature cast iron and tiled fireplace with open fire and stone hearth, four Edwardian style radiators, wood floor, eight wall light points, alcove shelving, picture rail. 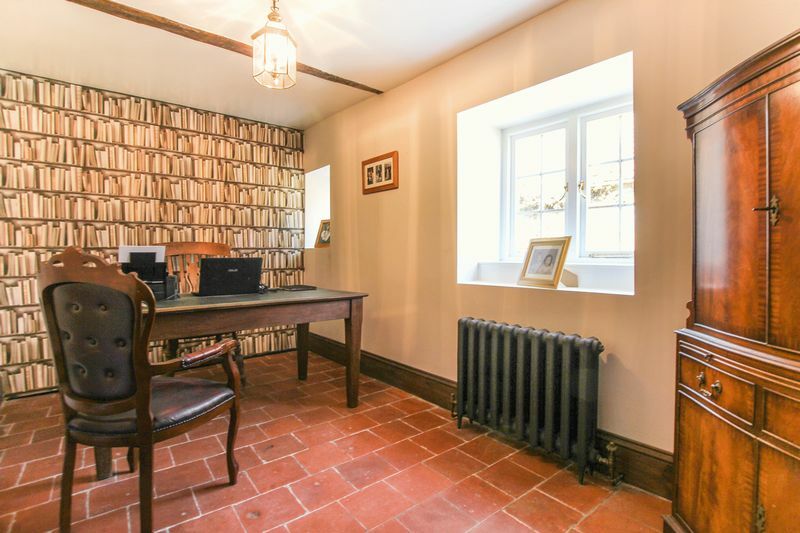 Double glazed sash window to the rear, three-quarter height oak panelled walls, distinctive oak fireplace, quarry tiled floor, two Edwardian style radiators, four wall light points, beamed ceiling. Situated at the heart of the home and having a magnificent vaulted ceiling including A-Frame trusses, bespoke range of cream finished units, solid wood worktops, Belfast style sink, electric 'leisure' cooker, feature stone chimney breast with a double sided multi fuel stove, space for an American style fridge / freezer, walk-in pantry cupboard with light, stone flagged floor, Victorian style radiator, two double glazed sash windows to the front and rear allowing a good degree of natural light, entrance door to the front. 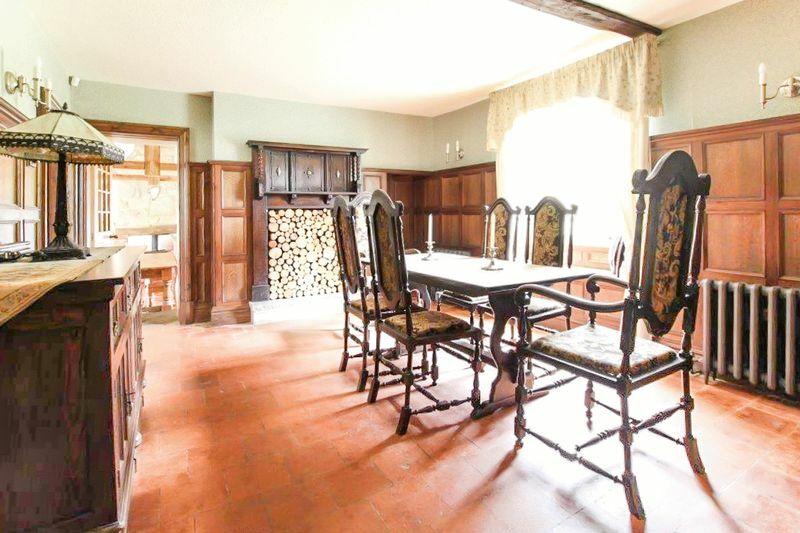 Double sided multi fuel stove to kitchen, three wall light points, Victorian style radiator. 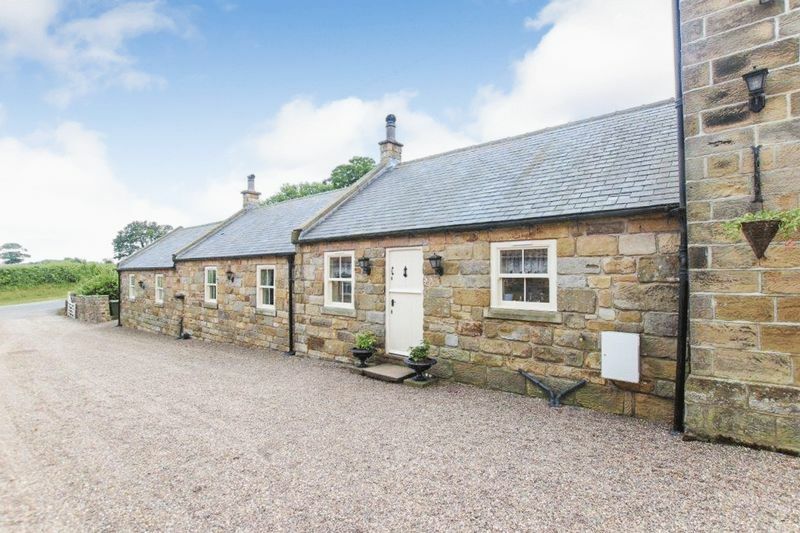 Two double glazed sash windows to the rear, stable style door to the rear, two Victorian style radiators, stone flagged floor. Double glazed sash window to the front, modern range of white wall, base and drawer units finished with laminate work surfaces and tiled surrounds, one and a half bowl stainless steel inset sink unit with mixer tap, plumbing for an automatic washing machine, tiled floor, ceiling coving, radiator. Access via wooden retractable ladder to loft space. 'Worcester' oil fired central heating boiler and circuit breaker consumer units. 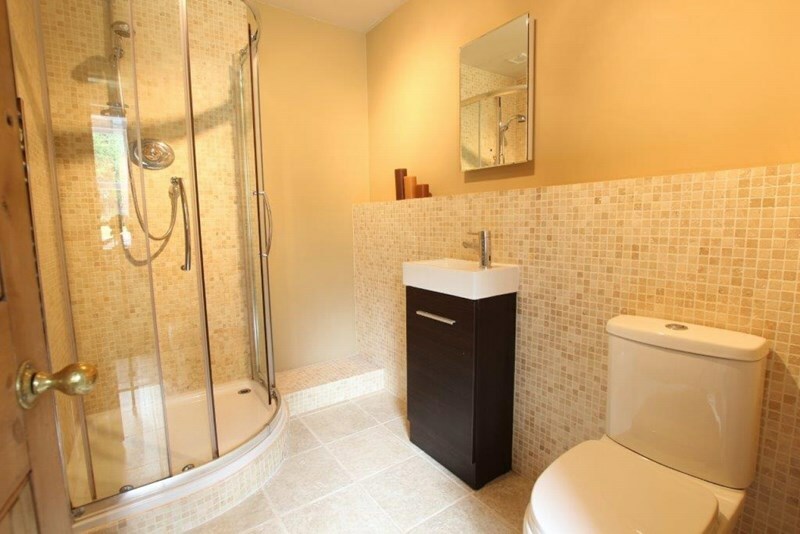 Modern suite comprising: corner shower cubicle, dual flush WC and contemporary vanity wash hand basin with mixer tap. Chrome effect heated towel rail / radiator, tiled floor. 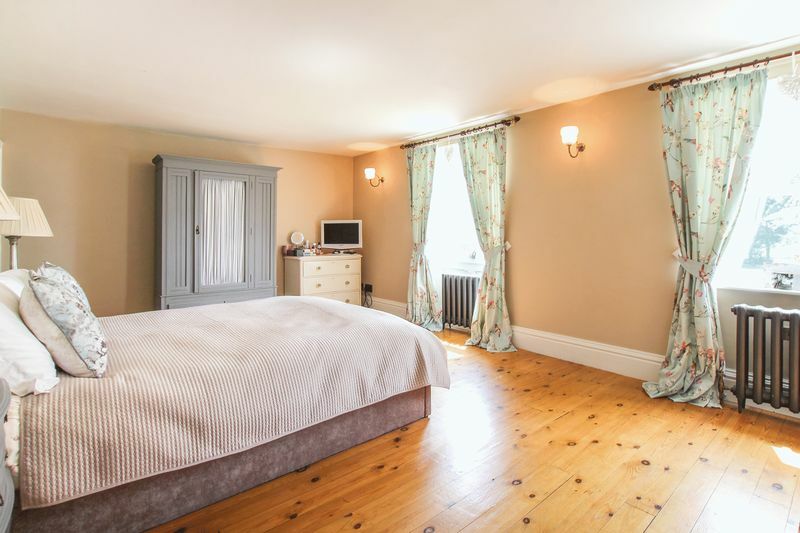 A versatile room having two double glazed sash windows to both the front and rear allowing a good degree of natural light, four wall light points, four Victorian style radiators. 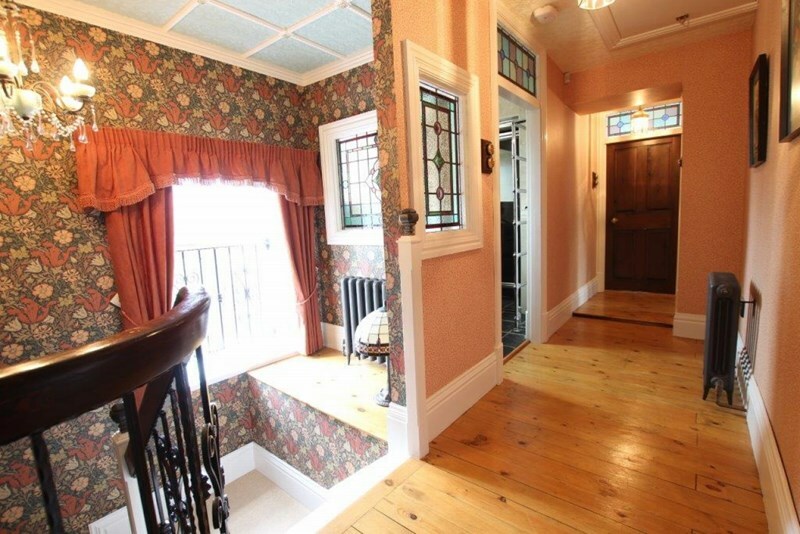 Double glazed window to the front, feature wrought iron balustrade, wood floor, two Edwardian style radiators. Access via wooden retractable ladder to boarded loft space. 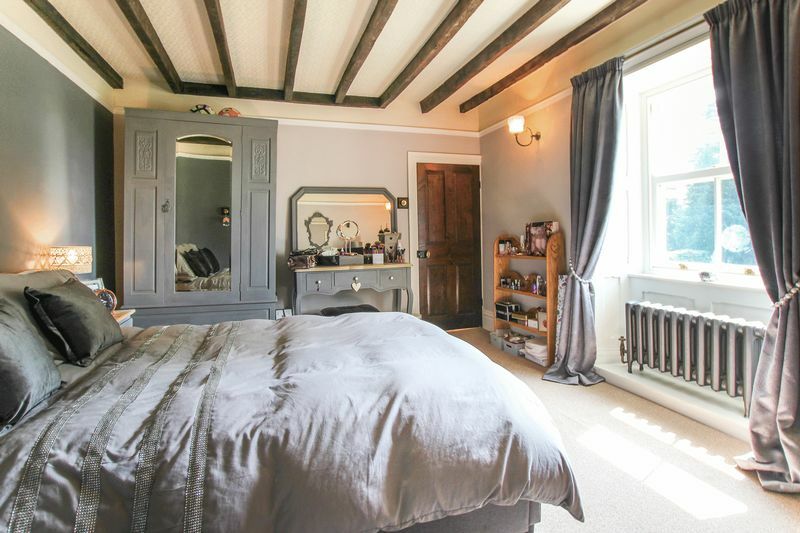 Two double glazed sash windows to the rear, wood floor, two Edwardian style radiators, two wall light points, walk-in wardrobe. 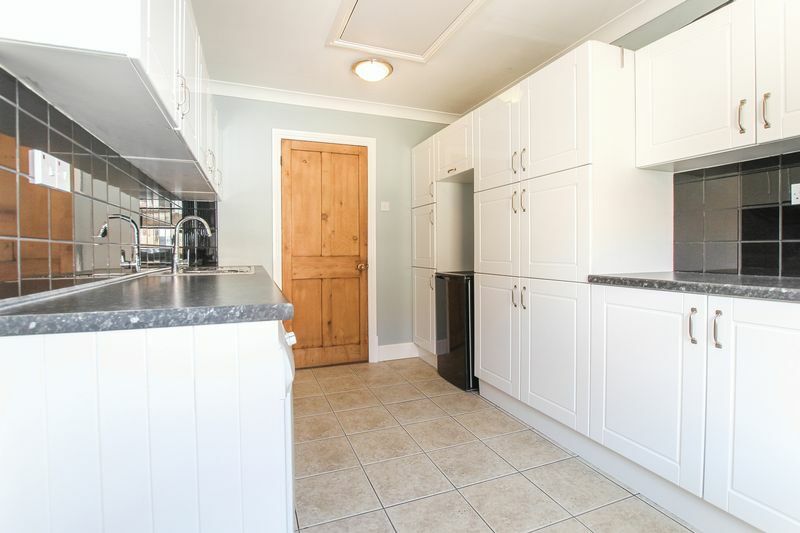 With hanging rail, shelving, radiator. Access to the loft space. 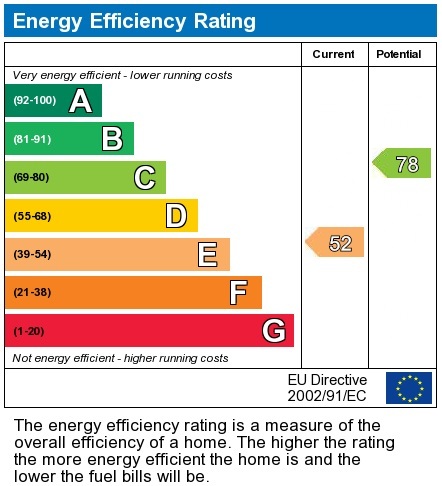 reducing to 8'9" [2.67 M] Double glazed sash window to the rear, Edwardian style radiator, beamed ceiling, two wall light points, picture rail. 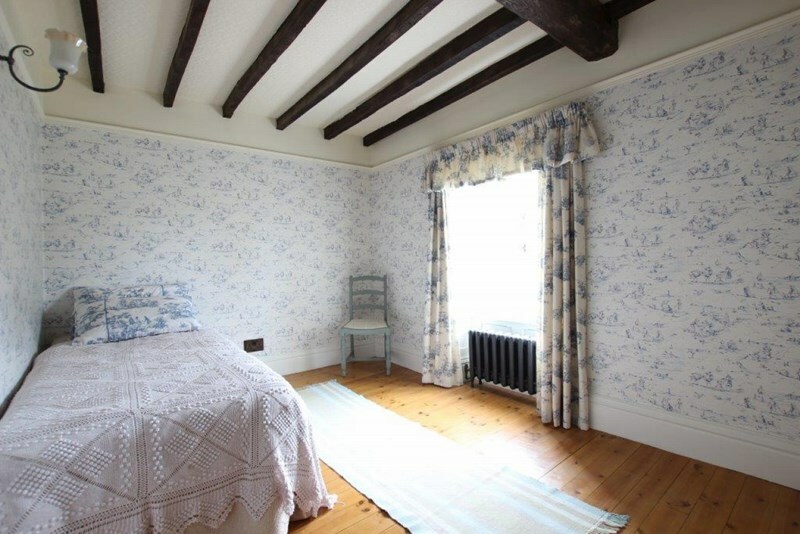 Double glazed sash window to the rear, beamed ceiling, picture rail, wall light point, Edwardian style radiator. 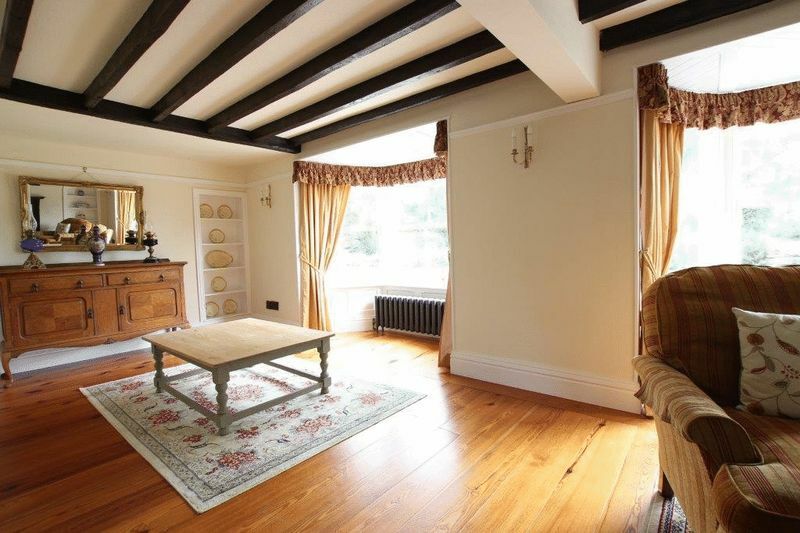 Double glazed window to the front, beamed ceiling, picture rail, wall light point, wood floor, Edwardian style radiator. 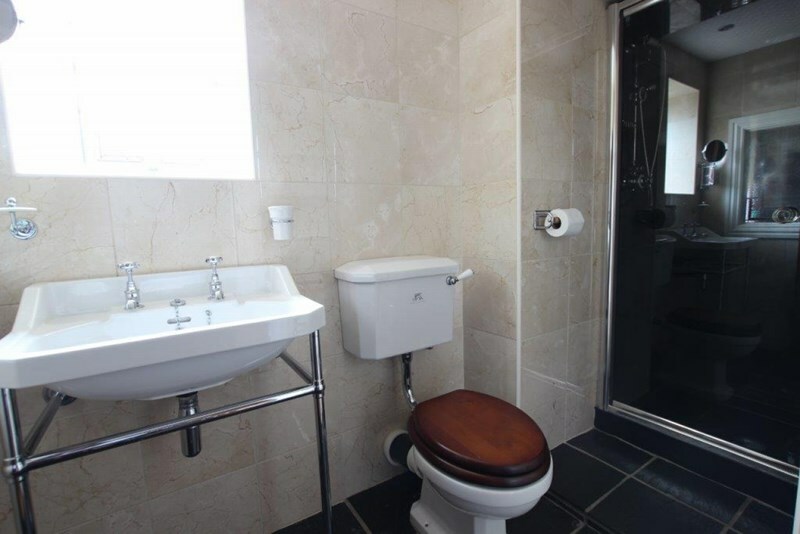 White suite with 'Lefroy Brooks' fittings including: shower cubicle with rain shower head, wash hand basin on chrome frame and low flush WC. Chrome effect heated towel rail / radiator, slate tiled floor, recessed halogen ceiling lights, double glazed stained and leaded lit window to the front complemented by stained and leaded lit single glazed window to the side. 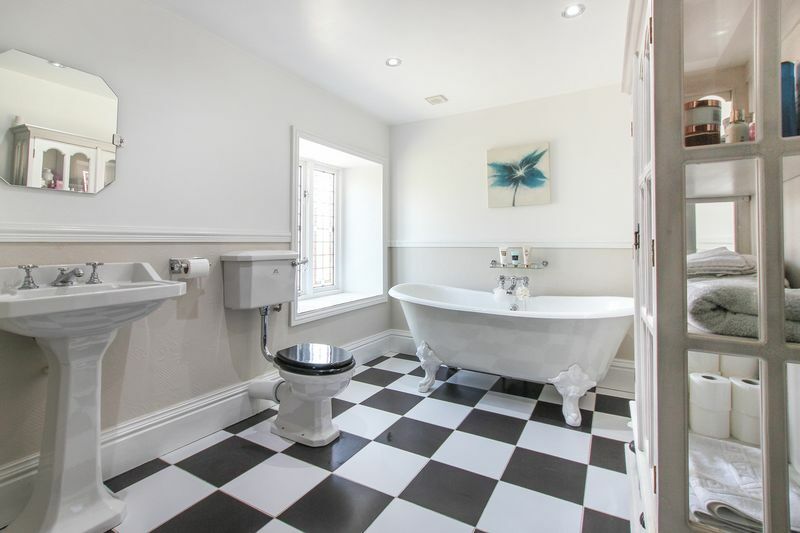 White suite with 'Lefroy Brooks' fittings incorporating: freestanding roll top cast iron bath with claw feet, pedestal wash hand basin and low flush WC. 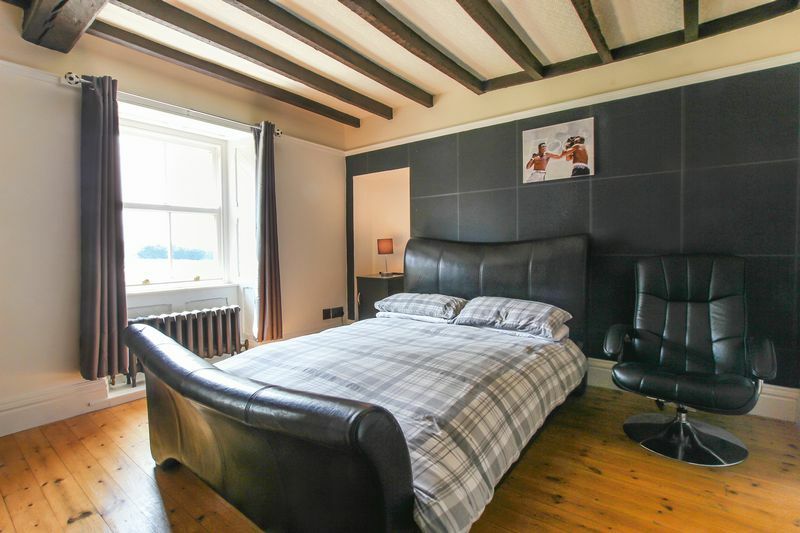 Radiator, heated towel rail, distinctive black and white tiled floor, dado rail, stained and leaded lit double glazed window to the front. To the front allowing ample car parking. 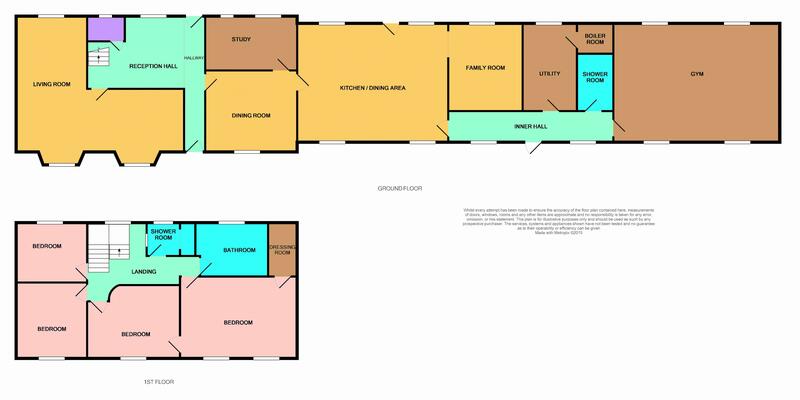 The driveway extends to the far end of the building allowing additional hardstanding suitable for a motor home etc. With twin double doors and power / electric light. 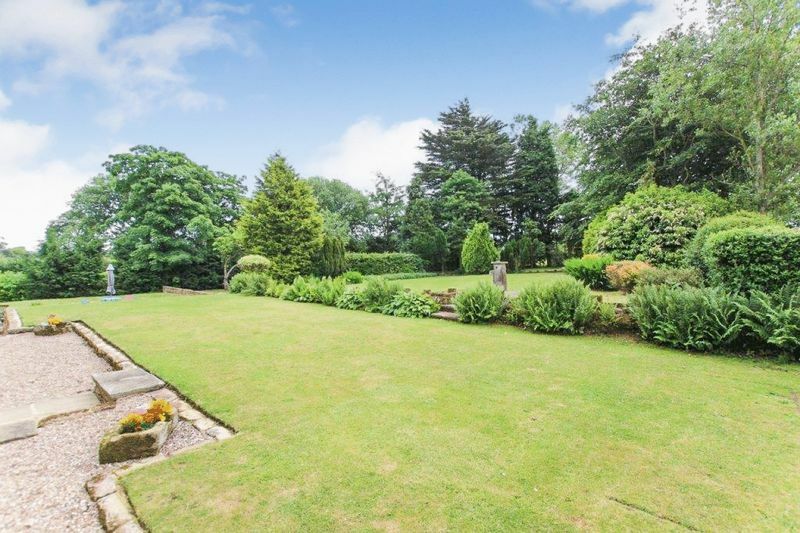 The stunning grounds to the rear of the property enjoy a south facing aspect having been well planned and cared for by the current Owners. 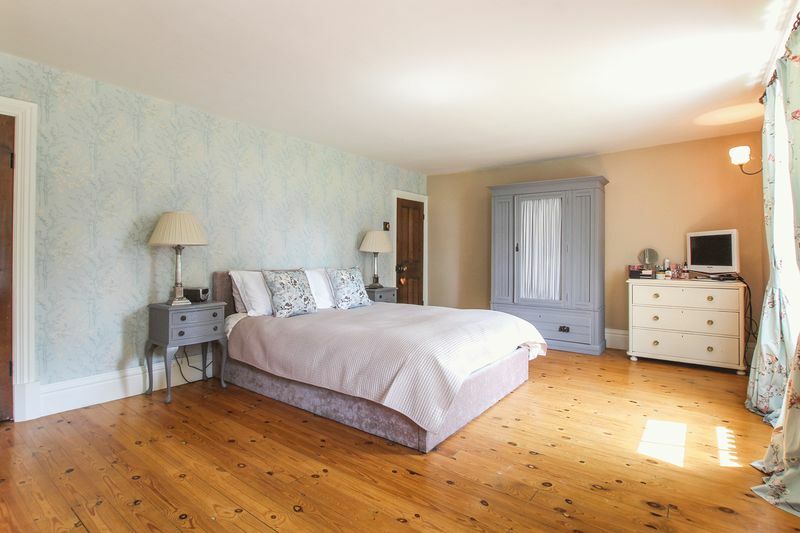 There is an extensive lawned area on different levels, mature trees, an orchard, an abundance of flowers and shrubs, hedging, stone flagged patio area and there is a stream to the side of the property.